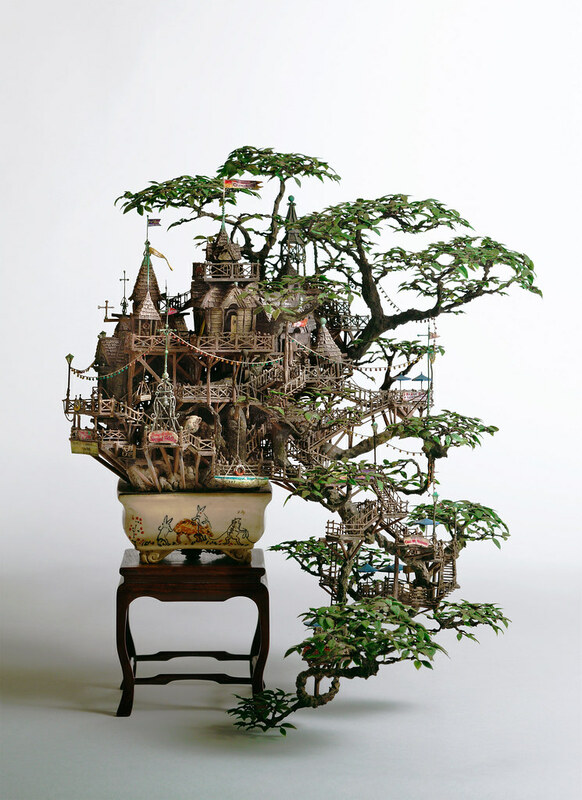 Ken To is an artist from the United States with a deep fascination for Bonsai trees. In this amazing series of miniature wire sculptures, Ken creates wire trees from continuous strands that flow from the tip of the roots to the end of the leaves and branches. The ceramic pots used to hold each sculpture are made by Jim Barrett. Ken says each tree takes an average of three hours, with even the smallest trees using up about six yards of wire (5.48 meters). Although completely sold out at the moment, Ken’s miniature Bonsai wire trees are for sale and can be found at rondei.com. He also does commission pieces and you can reach out to him on deviantART, where you will find an impressive gallery of all of his work. See More from Ken To on deviantART!